Come on in, the water’s warm. Hot, even! Well before Canada launched its recreational marijuana market in October, predictions showed that its cannabis industry might need hundreds of thousands of workers to help meet the demand of the growing market. This led to a hiring surge in the months leading up to the first official period of legal sales, but companies soon learned filling those positions was easier said than done. Although there were hungry applicants ready to go to work, very few of them were qualified. Sure, some positions require minimal experience, like weed trimmer or budtender. But there are plenty of steps in the cultivation process where companies require a more advanced skill set. Some entry-level workers got a little more than they bargained for when they were hired to participate in the new and exciting field of growing weed. Take Aphria Inc., an Ontario-based cannabis production company, for instance. In the months leading up to legalization, Aphria reportedly hired around 50 people to tend to its Ontario-based greenhouse. But by the end of the first week, only eight workers remained. The rest quit, because slaving away in these facilities during the summer months is not the most romantic vocation, even for someone with a passion for weed. “Those are really hot, humid months and working in a greenhouse, as much cooling and airflow as we can provide, is still pretty darn hot in July and August,” Aphria CEO Vic Neufeld told Bloomberg. The predicament of not having enough labor to nurse the crop put the company in a position of having to trash nearly 14,000 plants — forcing them to take a loss of close to $1 million. And the situation hasn’t improved much since then. The company still has a difficult time finding permanent, full-time employees to help run its greenhouse. It has only been because of Canada’s Seasonal Agriculture Program that Aphria has been able to secure enough workers from the Caribbean and Guatemala to keep operations humming along. This is apparently the state of affairs for many Canadian cannabis firms, and the industry is still trying to fill thousands of positions. There always seems to be a level of excitement when discussing employment opportunities in the business of weed. There are even reports that suggest that this field could provide salvation for struggling economies, as above-average jobs are created in conjunction with tourism and other factors. Employment professionals estimate that as many as 125,000 jobs could be created within the first year of legalization in Canada. But right now, not even 5,000 cannabis workers are in the trenches. This translates to a wealth of opportunity for people with enthusiasm for the profession and the experience to take on roles that go beyond the responsibilities of retail positions. 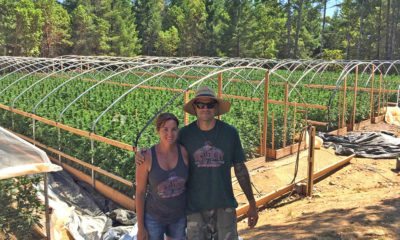 Skilled labor is and will continue to be the ticket to success in the cannabis workforce. Master growers, cultivation managers, quality assurance pros, cultivation assistants and processing assistants can earn somewhere between $81,000 to more than $100,000 per year, according to Forbes. But since automation will eventually take over some of the more labor-intensive jobs, like bud trimmer, the more skills a person has the better. “We’re going to see a lot of R&D positions and a lot of science-based positions around extraction and formulations,” said Alison McMahon, founder and CEO of Cannabis At Work. In some cases, the cannabis industry is hiring people who already have experience in a similar field. When it comes to horticulture, the basic principles for growing marijuana are the same as other crops. And when searching for people with business expertise, the world is this sector’s oyster. Former executives from Coca-Cola and Coors have joined the cannabis industry in recent months. For the person searching to get in on the ground floor of the cannabis industry, there is still opportunity. But it is important to understand that the work might be hot and challenging at times, so pansies need not apply. For those wanting to bypass the grunt work, a degree in agricultural or some type of certificate in cannabis studies might be a good place to start. Now that the United States is moving closer to nationwide legalization, it might be advantageous to seek out some of the colleges and universities presently offering students courses in these fields. Some of the latest data shows that nationwide legalization in the United States could produce in upwards of 1 million new jobs. Now is the time to go to work. TELL US, what’s your dream job in the cannabis industry? I’m interested but although not skilled…hopefully if I get proper training it will be easier for my to carry out my tasks. Hello, am interested for work whit you. Is possible??? I give you my email. Regional Sales Manager calling on dispensaries. So I have 4 people willing to work in the Green House.